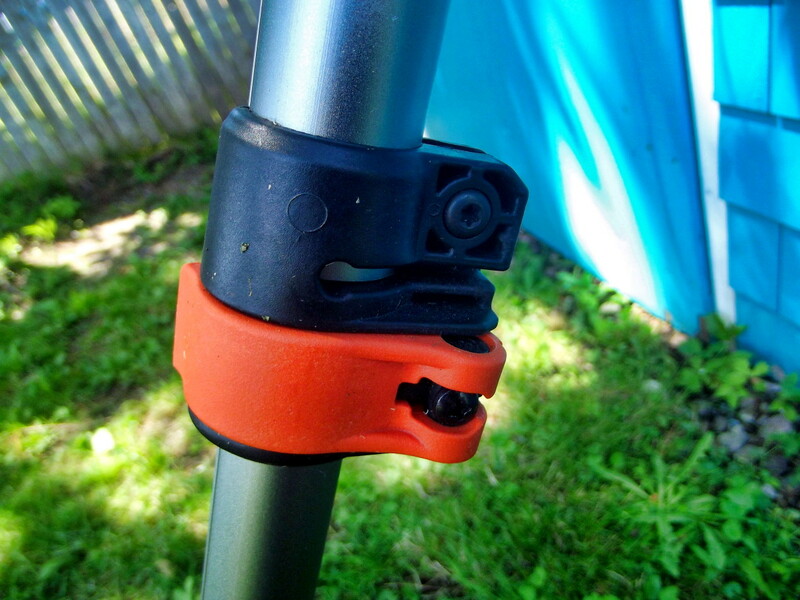 Last year, I replaced my Fiskar reel mower with a battery-powered unit from Black & Decker. 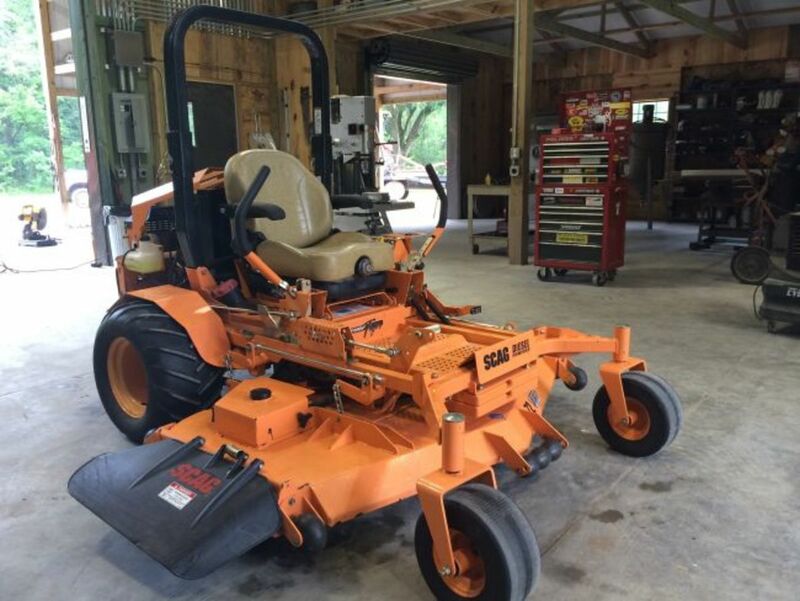 There was nothing wrong with the original mower; Fiskar manufacturers high-quality products. But I am getting a bit ‘long of tooth,’ and it can be a pain to push one of these things around on a hot and sunny day. 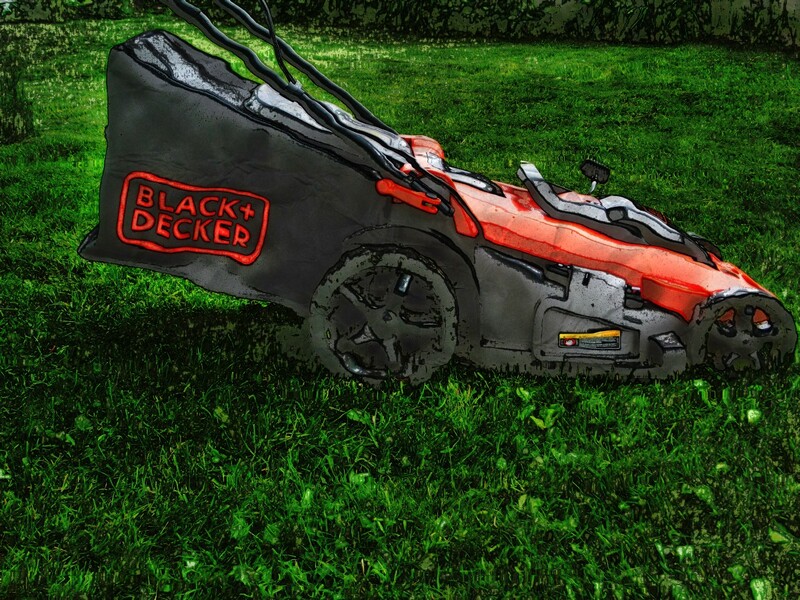 The Black & Decker CM2043C Cordless Lawn Mower turned out to be an excellent investment. If I cut the grass every week, it does a good job with minimum effort on my part. The only problem I’ve experienced is insufficient battery life. The two batteries shipped with the unit will each power the mower for fifteen minutes. Since my lawn is large, this allows me to cut sixty percent of the yard in one outing. Then I must recharge both batteries before completing the task. This year, the battery of my elderly Yardworks grass trimmer died. I decided to replace the device with one utilizing a battery and charger compatible with my lawn mower. 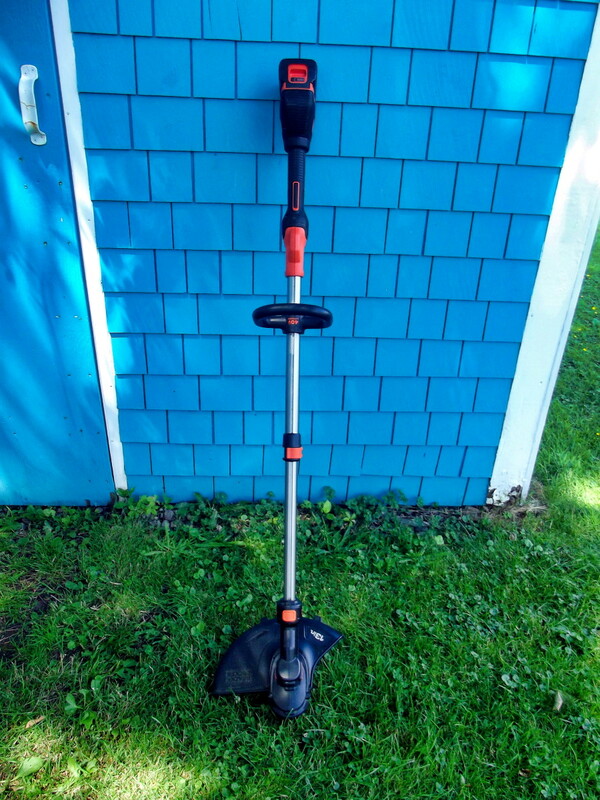 After checking what was available, I chose the Black & Decker LST540 String Trimmer. The LST540 arrived well packed and on schedule. The box contained the main unit, a battery, fast charger, auxiliary handle, guard and a spool of line. There was also a metal guide that can quickly be removed or attached. Within minutes, the task of assembling the machine was complete and I was patiently waiting for the battery to charge. Well, actually I cheated. I grabbed one of the two-amp batteries that came with my lawn mower, snapped it into place, and started to whack weeds. The included battery is noticeably lighter than the 24V nickel-cadmium power supply that came with my original trimmer. This 40V battery packs plenty of power, allowing the trimming line to cut through thicker grass and weeds than I expected. 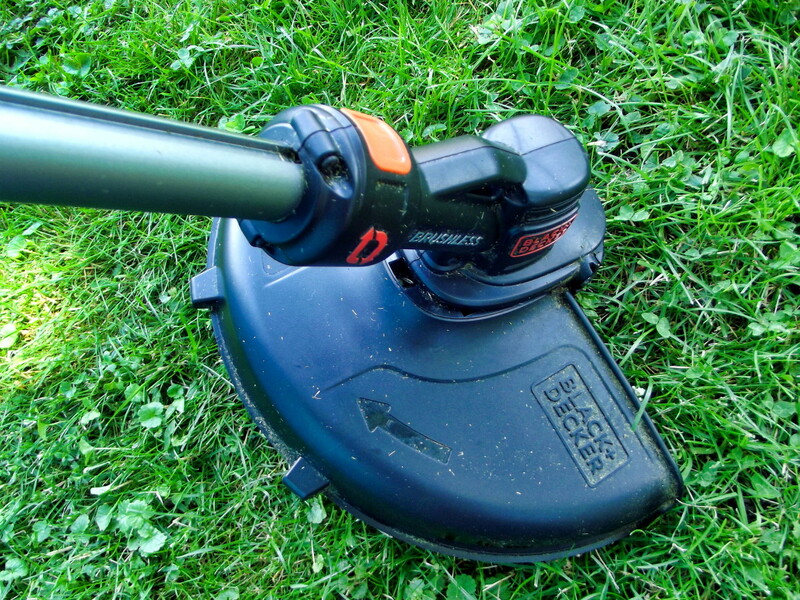 Please note, however, that for heavy-duty applications, nothing beats a gas-powered grass trimmer. One important consideration when purchasing one of these devices is the ability to adjust the unit for comfort. The LST540 is of the telescopic variety and can be set to the perfect length for each user. 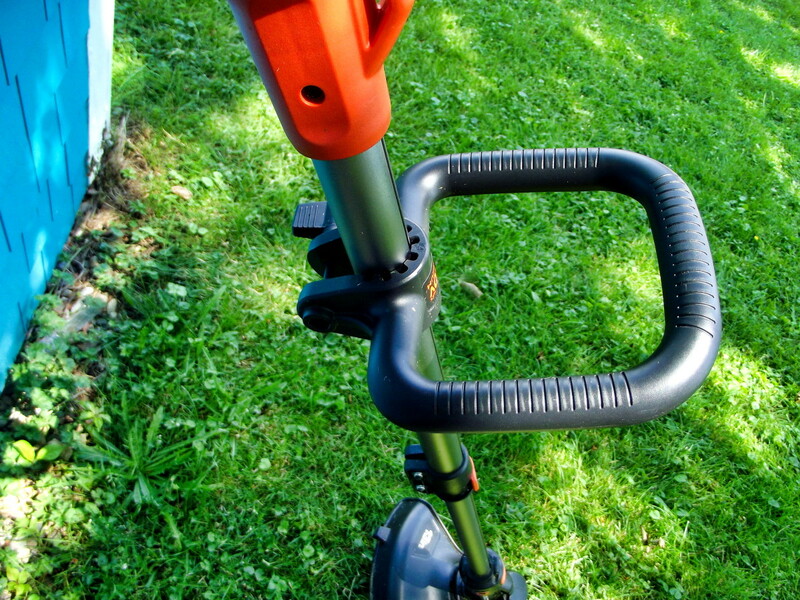 Like other trimmers, its auxiliary handle can also be adjusted. 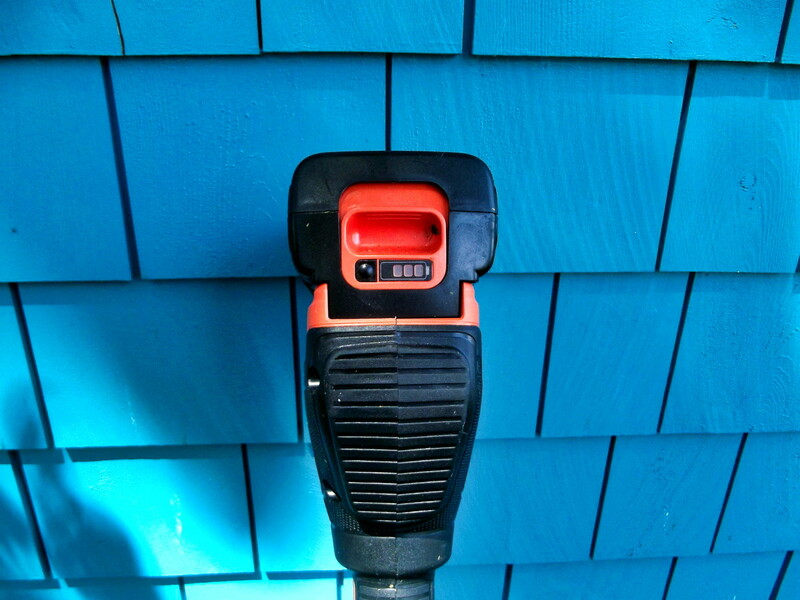 The LST540 string trimmer is powered by an LBXR36 40V lithium battery rated at 1.5 amp. Its nominal voltage is 36V. Run time appears to be about 20 minutes, which is ample for my needs. 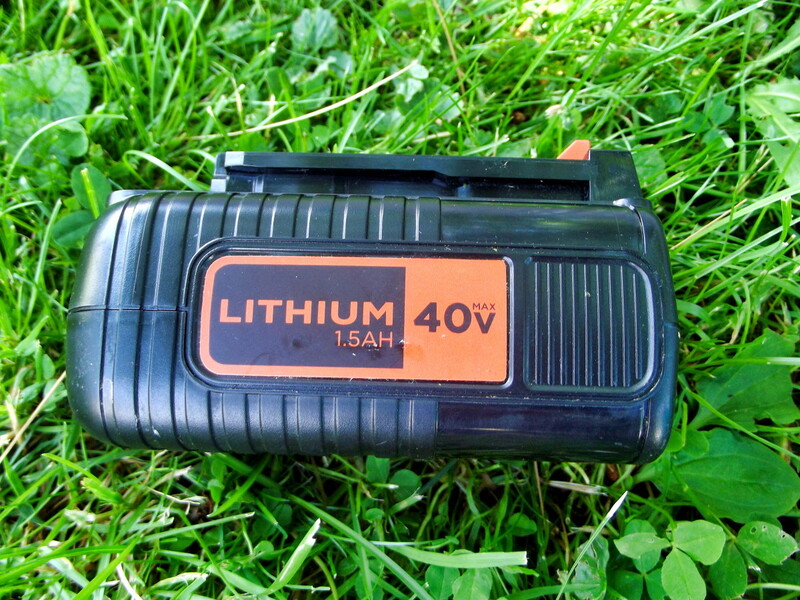 If it wasn’t, I could easily switch to one of the two-amp batteries that came with my lawn mower. It comes equipped with a LCS36 40V MAX Fast Charger. The tiny charger that shipped with my lawn mower, requires four hours to charge a battery. The LCS36 can complete the job in half that time. There is, however, a price. 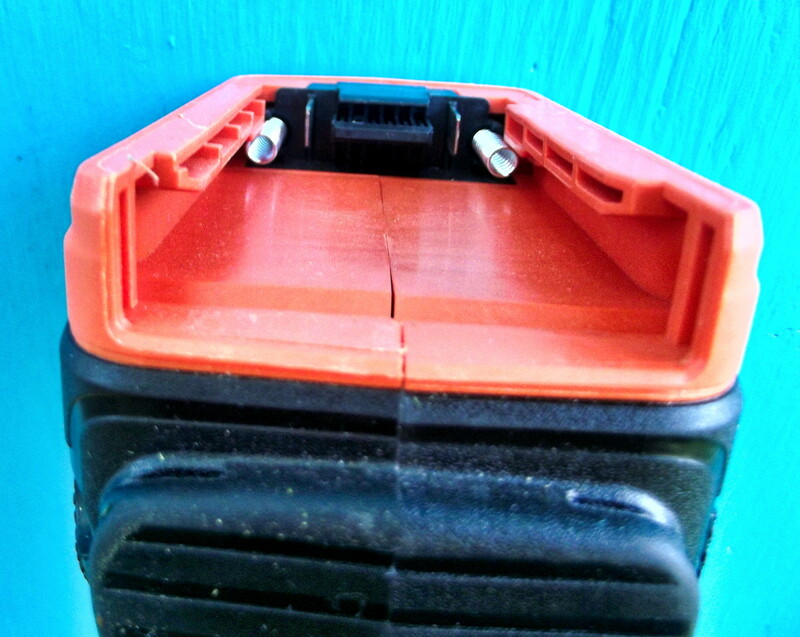 The fast charger is less forgiving and refuses to work with one of the lawn mower batteries, marking it as defective. This is not a problem, because the old charger is perfectly willing to perform this task. The LST540 came with an AFS Spool loaded with 0.080-inch diameter line. 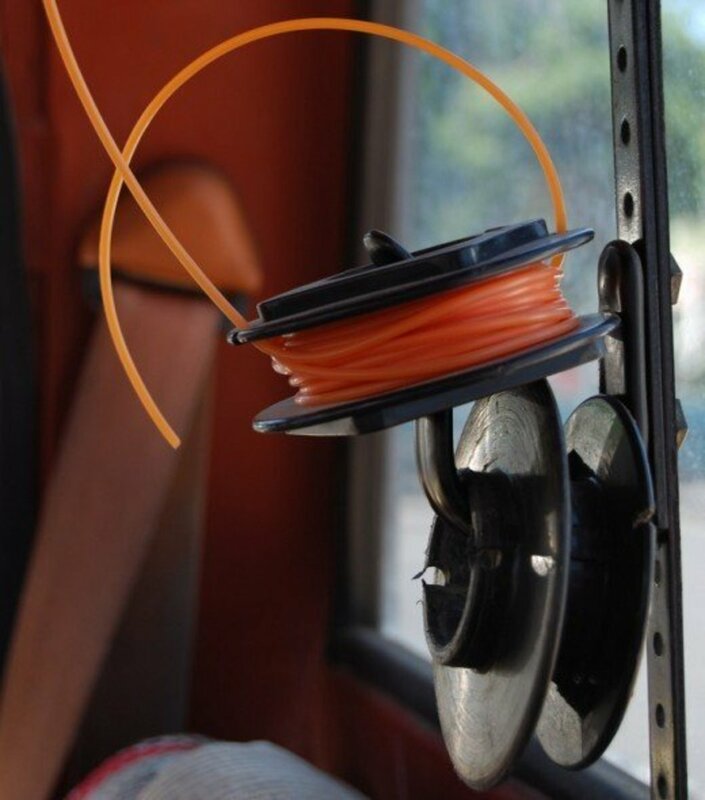 Replacement spools with 20 feet of line are available for less than $10. Although I did not check, I’m sure the original spool held far less line. I used most of it within the first hour of work. The line automatically feeds each time you press the trigger. If you’re a miser like myself, you will keep a firm and constant grip on that trigger. The cut-off point is plastic rather then metal, but it works well. Black & Decker began life as a small machine shop in Baltimore. 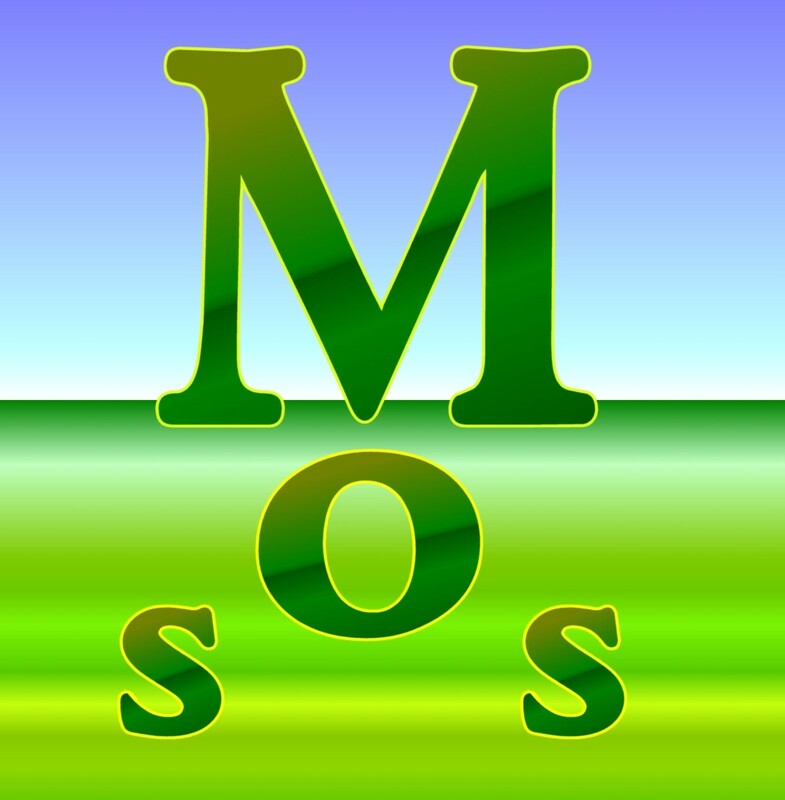 It was founded by Alonzo Decker and Duncan Black in 1910. 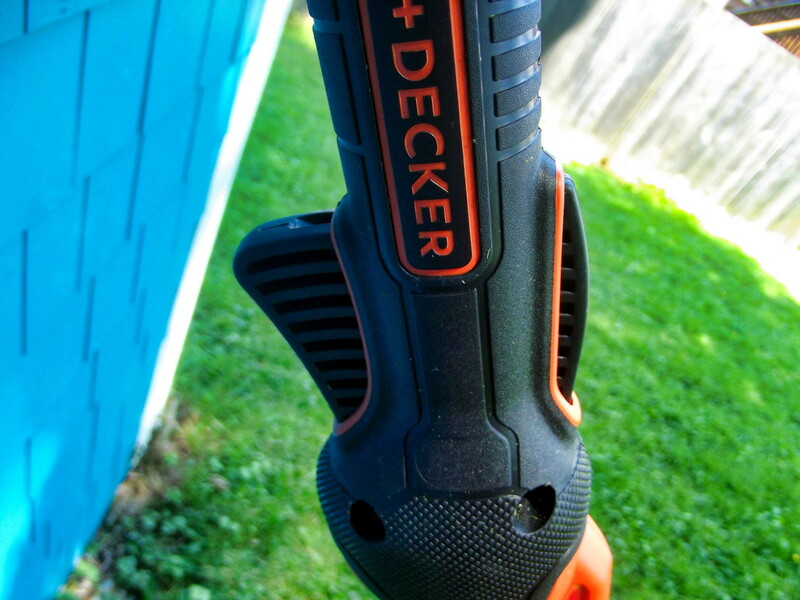 In 1917, Black & Decker invented a portable drill which included a pistol grip and trigger switch. The company then opened a factory in Towson, Maryland. 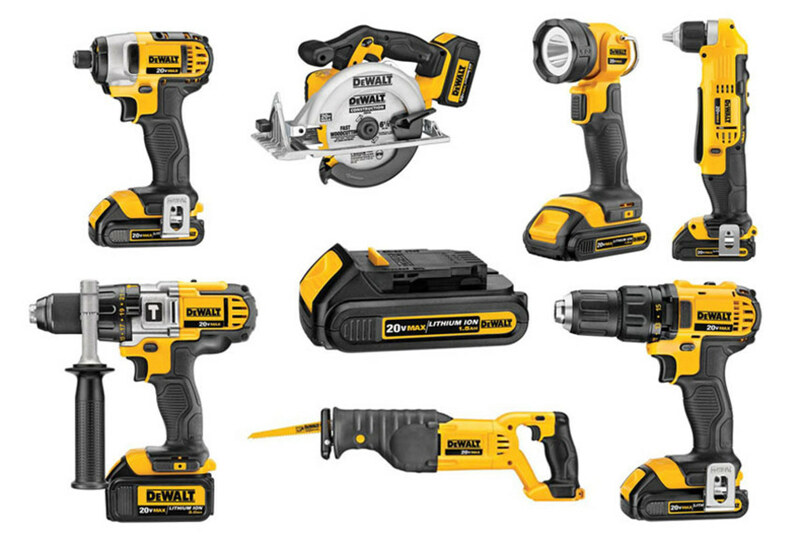 Over the next 70 years, Black & Decker expanded, acquiring Van Dorn Electric Tool Company, DeWalt, General Electric’s small appliance business, and Emhart Corporation. But Black & Decker wasn’t the biggest fish in the pond. One hundred years after the company was formed, they were swallowed by Stanley Works and became Stanley Black & Decker. Expansion is still the name of the game. In 2017, Stanley Black & Decker purchased the Craftsman brand—my personal favorite—from Sears. I like the LST540, which is available both new and used at Amazon. It is of good quality and represents a significant upgrade over my last trimmer. 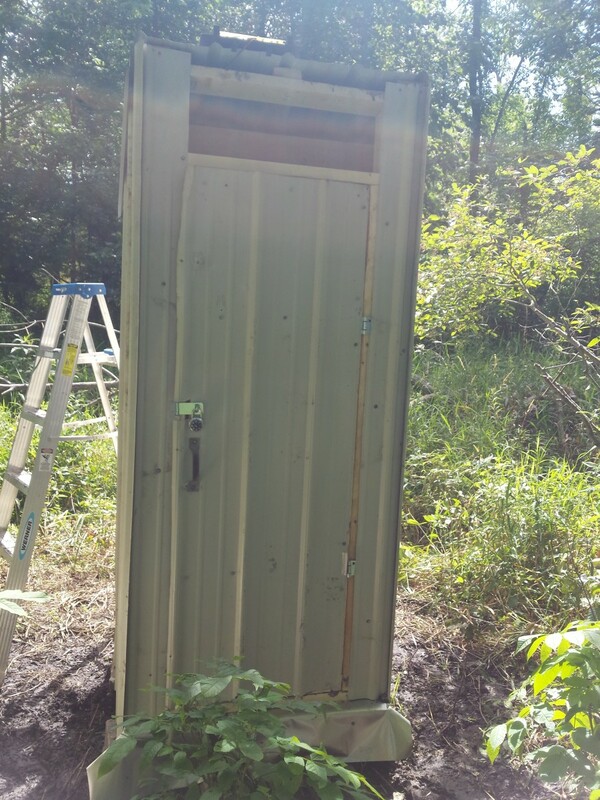 This unit is well suited for average to large yards. It can be adjusted to match the height requirements of any user and replacement spools are available at a reasonable cost. 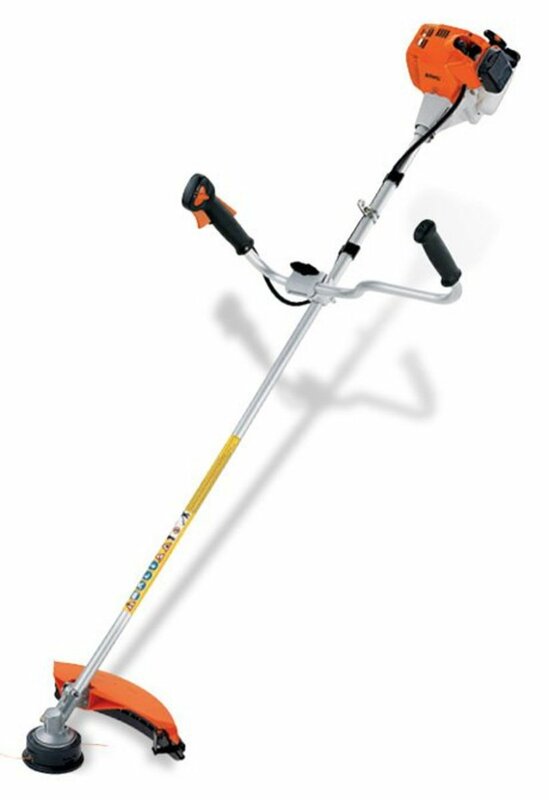 The LST540 grass trimmer is recommended. 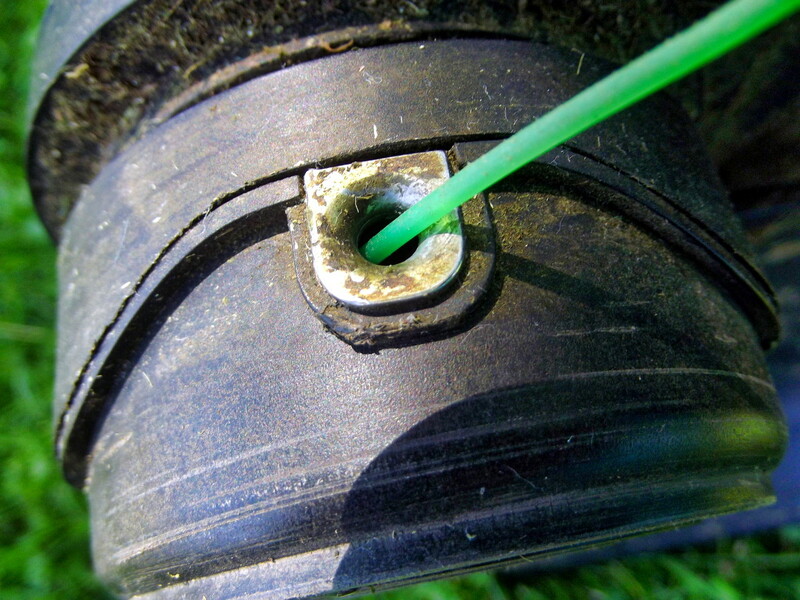 String trimmers can be powered by gas, rechargeable batteries or electricity via an extension cord. Which of these types are you most likely to purchase? Gasoline. I need the power to get the job done quickly and effectively. Electricity via an extension cable. The price is right and my yard is small. Battery powered trimmers appear to be the most convinient to use.